CBS News is reporting that Haiti is having its first Carnival celebration since the earthquake that decimated the country last year. Thousands poured into the streets of Port-au-Prince Sunday, dancing in the streets for the first time since the devastating earthquake forced the cancellation of the annual festivities. According to the article, "The parade filed past the ruined facades of downtown shops, and the normally busy boulevard outside the collapsed National Palace was turned into a pedestrian zone for three days of revelry. Organizers erected a plywood wall to separate the Carnival zone from the huge Champ de Mars plaza, now a camp for tens of thousands of people made homeless by the quake." Some were not excited about the Carnival and didn't think that the festivities should be held because the country hasn't fully recovered. Others lamented the small size of this year's Carnival relative to past years. The January 2010 earthquake killed an estimated 300,000 people and left much of the capital in ruins. The United Nations says about 800,000 people are still living in temporary settlement camps around the capital. 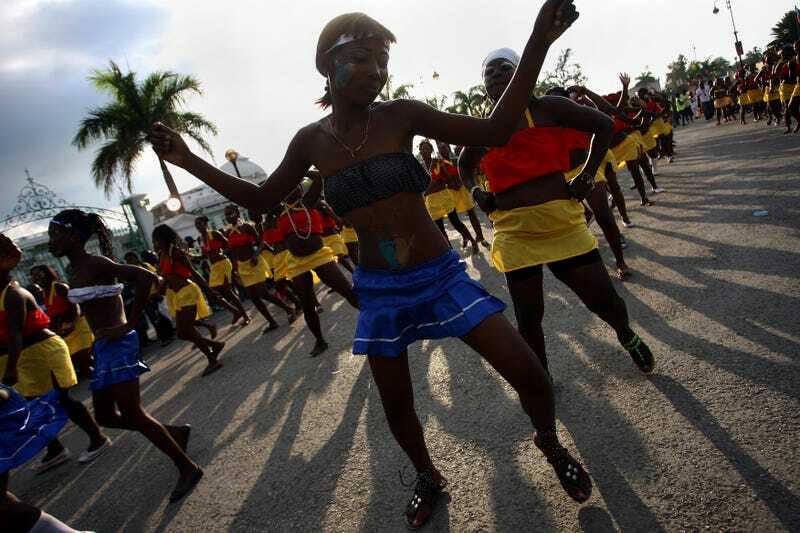 Perhaps Carnival is what Haiti needed: a reminder of good times and the resiliency of Haitian people. In other news: Double Talk? White House Promotes Muslim Help Against Terrorism.